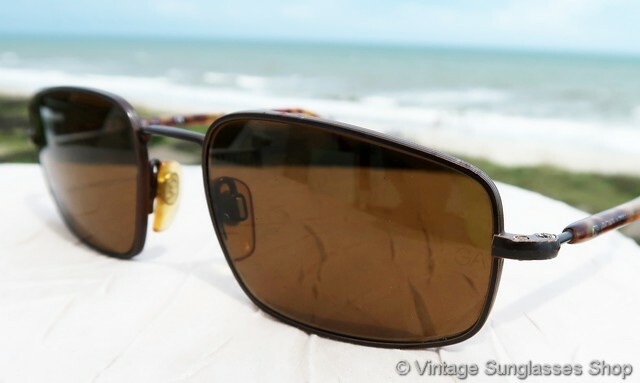 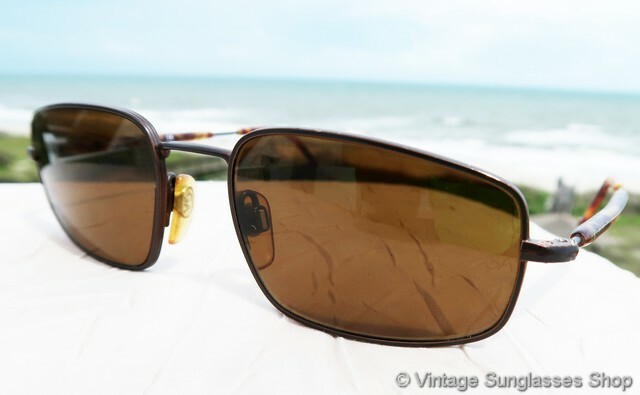 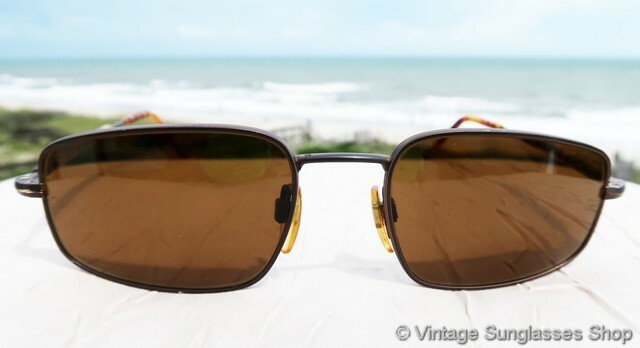 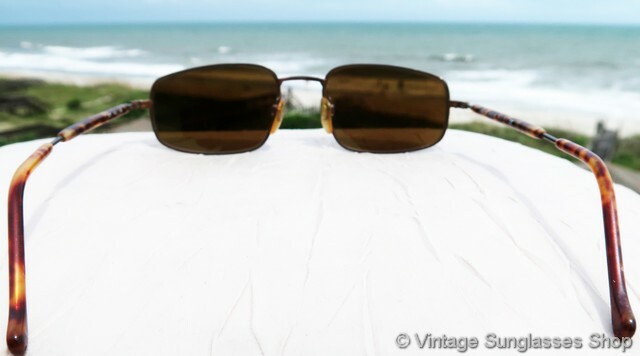 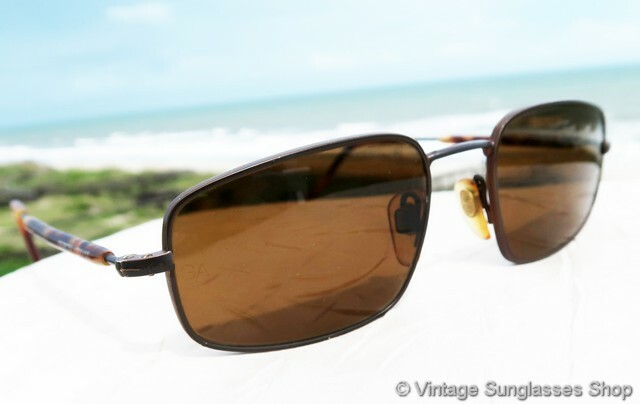 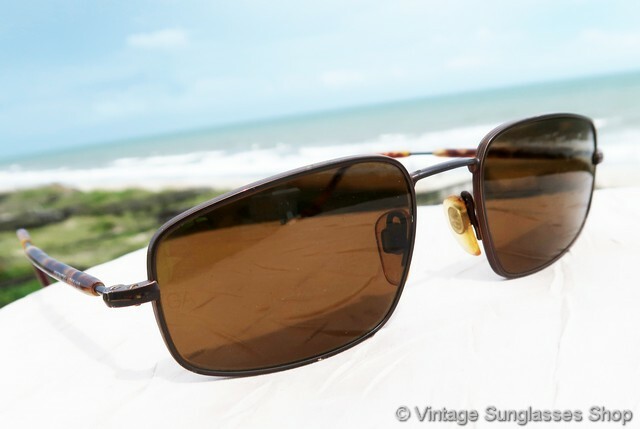 1 Vintage Giorgio Armani 637 883 sunglasses feature rounded rectangular lenses and beautiful yellow and orange Italian tortoise shell ear stems for one of the most elegant designs ever produced by Armani. 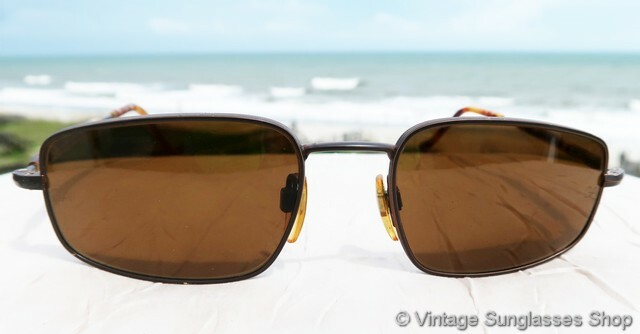 The black metal frame doesn't detract from the stars of the show which are the yellow tortoise stems and the unique shape of these vintage Giorgio Armani optical glass lenses. 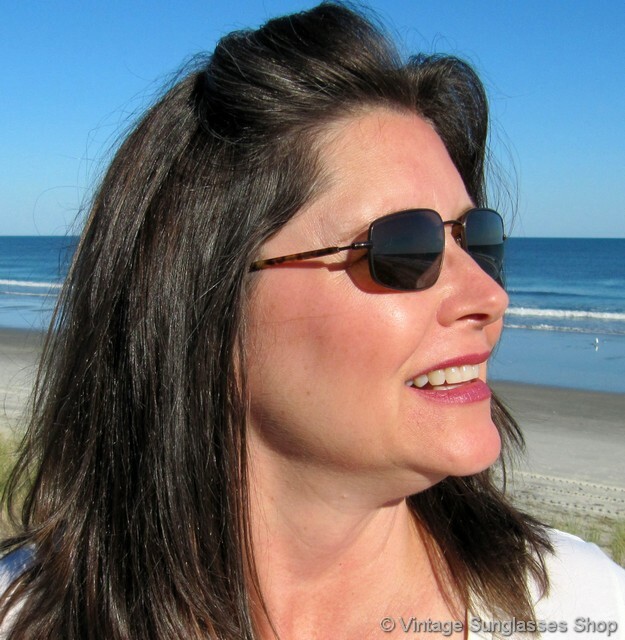 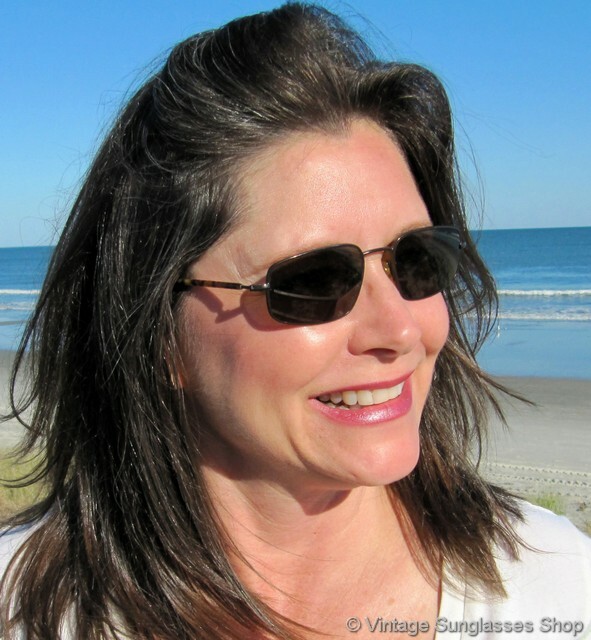 The unisex Armani 637 frame measures approximately 5.0" temple to temple, and the brown mineral glass lenses measure approximately 1.875" x 1.25" at the widest points with both lenses laser etched GA near the hinges. 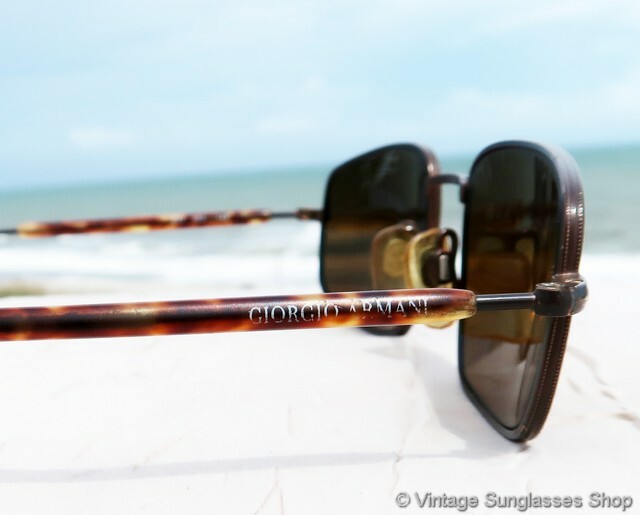 You'll find the Giorgio Armani logo subtly embossed on the exterior of both ear stems, a sharp contrast with the oversized and intrusive use of designer logos in most modern designer sunglasses. 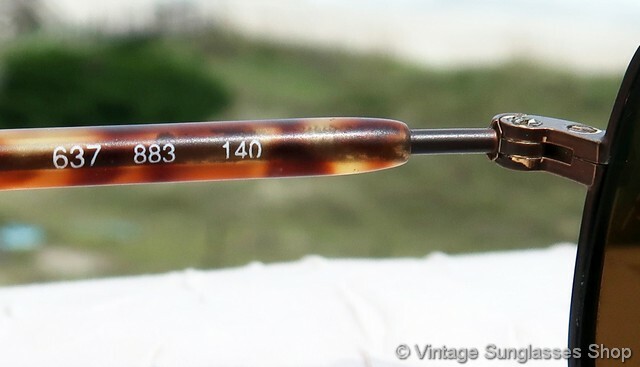 The inside of one ear stem is marked Giorgio Armani Made Italy CE while the inside of the other stem is marked 637 883 140. 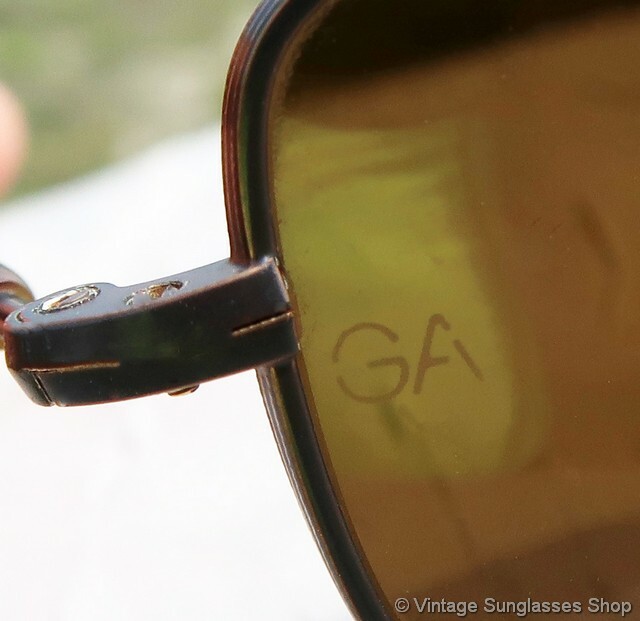 2 Step up another level beyond our already unequaled vintage condition standards with new old stock Giorgio Armani 637 883 sunglasses in mint, unworn condition.